A Stanford University study revealed a person's success in life can be predicted by the way he or she answers the question "Are you willing to get up and make a presentation right now?" We communicate all day, every day. Effective presentation skills, whether one-on-one or to groups, rank high on the lists of qualities identified for success in the workplace. Yet, in spite of the strong awareness we seem to have for the importance of presentation skills, the average person does not present well. Moreover, as technology advances and becomes easier to use, people often find face-to-face presentations more difficult. As a result, presentations fail, opportunities are lost, relationships suffer and business results fall short of goals. 80% of the people who fail at work do so because they do not relate well to others. In a business environment that has never been more competitive, research shows that success depends about six times more on the ability to communicate effectively than it does on technical skills. It's not that we don't receive training in communication and presentation skills. For our entire lifetimes, most of us have received a steady diet of anti-communication skills training. From well-intentioned teachers to well-intentioned managers and co-workers, who themselves have been taught ineffective methods of communicating and presenting, each passes on their (lack of) skill in this area. Role models of effective communications and presentations are scarce. Have you ever seen excellent ideas get rejected because of a poor presentation? Have you ever seen ideas of less merit get accepted because of a great presentation? Logic. Facts. Information. Data. Are all important in presenting a product, a service or an idea. But are ideas accepted based on logic and facts alone? Trust. Credibility. Professionalism. Sincerity. Conviction. Are often the reason that some people get their ideas accepted with little difficulty while others have considerable trouble. Although feared more than anything else, including death, studies show presentation skills impact individual effectiveness and success more than any other skill, including technical knowledge. In a business climate where individuals are over-loaded with information, it is no longer enough to simply communicate information. Your ultimate success depends on your ability to speak confidently and persuasively. 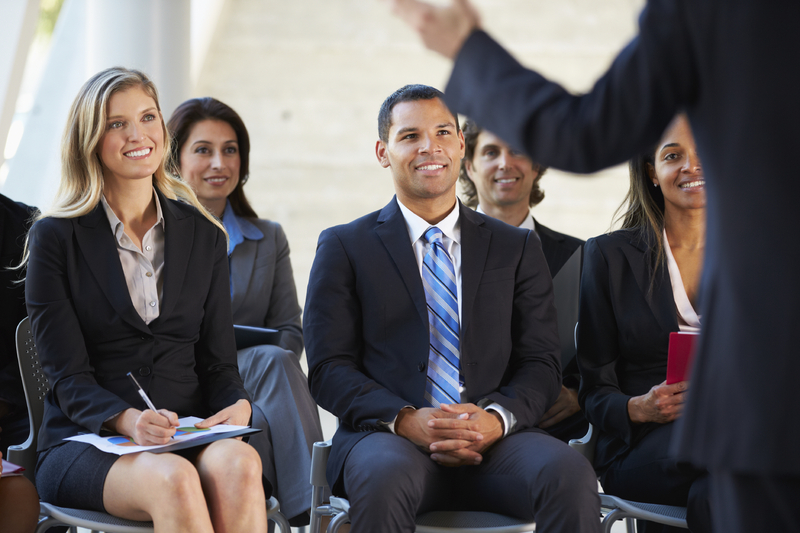 IMPACT®: How To Speak Your Way To Success helps participants build skills to enhance presentation skills while gaining more audience acceptance for ideas. Registration fee includes: expert workshop facilitation for two days by two highly-skilled Tero trainers, one-on-one professional coaching during the workshop, video-recording of progress throughout the workshop, workshop materials, useful job aid, award-winning Your Invisible Toolbox book, e-manual and electronic resources, complimentary subscription to Tero's monthly eZine (electronic magazine) and complimentary access to Tero's exclusive Graduates Only section of the Tero website. You may cancel your registration up to 14 days before the seminar. 75% of your registration fee will be refunded. If you need to cancel less than 14 days prior to the seminar, you may send a substitute from your organization or transfer your registration to another Tero seminar within one year.